My version of Kentang Tempe Belado with added daun kemangi! ahh....so delicious! i just love eating daun kemangi, such a delicious herbs. * Clean and cut potato into cubes. Cut tempe to thin and smaller pieces. Clean kemangi leafs and set aside. * In a wok, heat 5cups of oil, deepfried cubes potatoes & tempe until golden brown dish up. * Heat wok, add 5tbsp cooking oil. 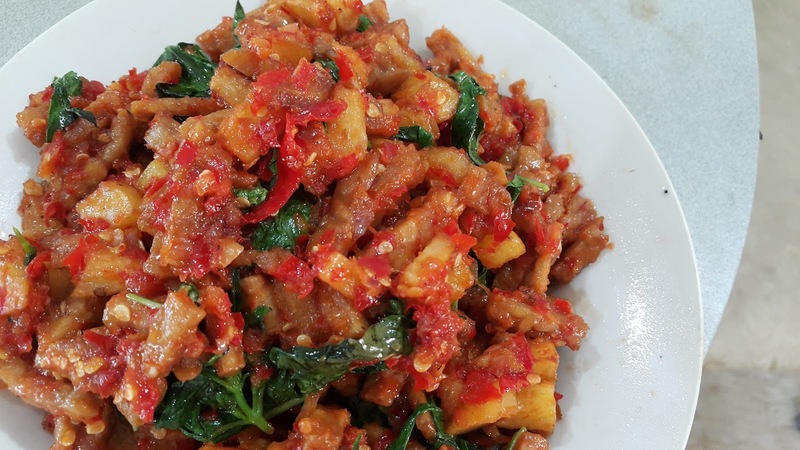 Add in blended sambal ingredients mix well, sauteed until aromatic, add in daun salam and season to taste. 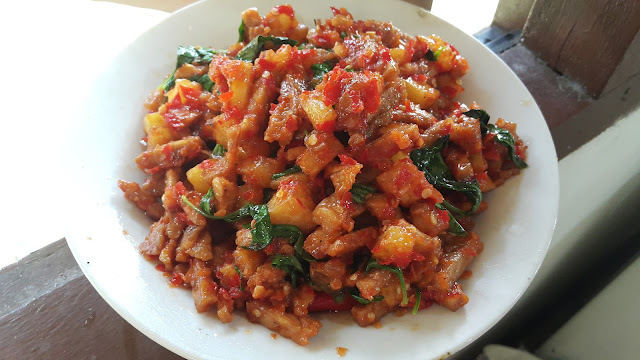 Add in fried potatoes and tempe to sambal and mix well. taste and season again to taste. lastly, add in daun kemangi mix well and dish up.